It’s been a long time again…life has kept me busy and while I have completed a variety of house projects, etc, very little woodworking has been taking place. I hope to change that soon. I did manage to build a decorative “pond” in our backyard with koi in it. 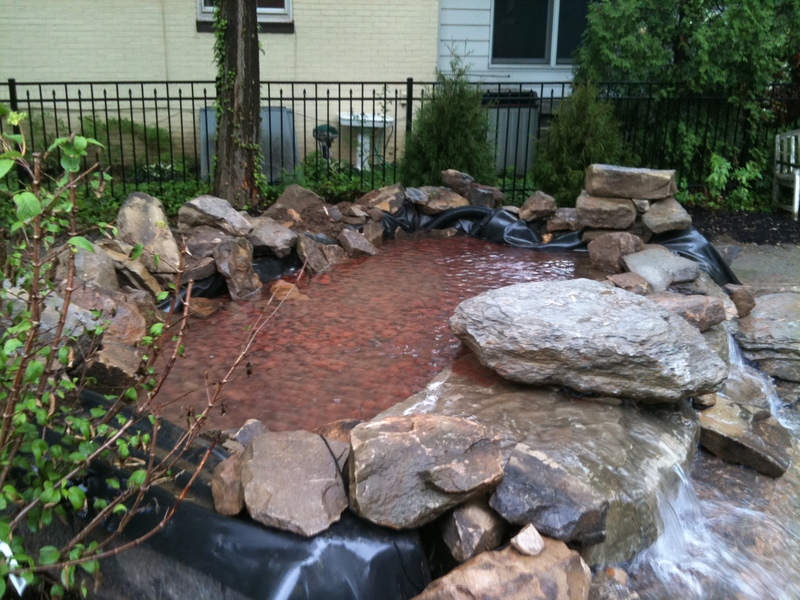 It is about 8000 gallons and has a rubber liner, a small waterfall, two pumps and a skimmer. I used a natural bog filter design that should allow me to maintain the pond without chemicals…just adding natural bacteria to the pond from time to time and lots of water plants. The pond is now three months old and we are really enjoying it. The sound from the waterfall is really relaxing. I will begin posting pond-keeping thoughts on this blog as well. 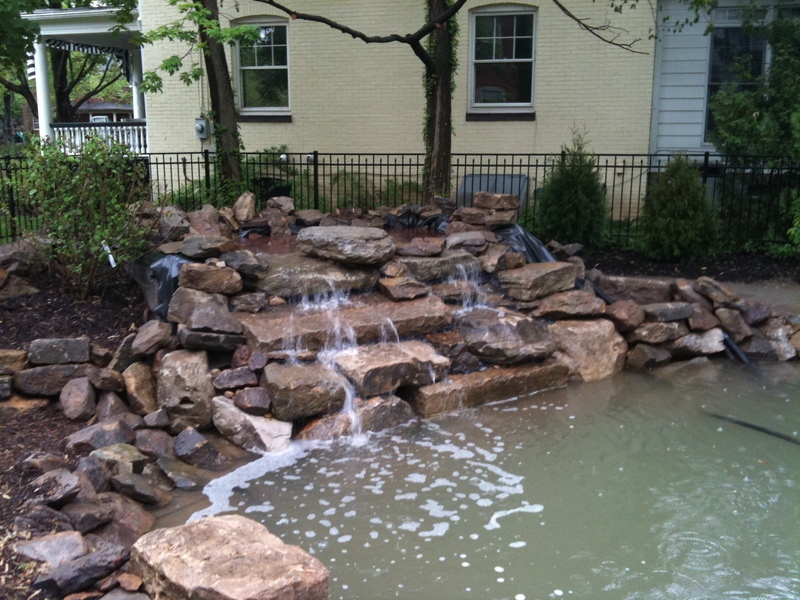 Below are some photos of the pond from back during construction. I will post some more recent photos of the pond fully planted and the fish soon. Hope you are all having a good summer! Posted on August 3, 2010, in House Projects, Pond and Koi and tagged koi, pond. Bookmark the permalink. 4 Comments. Wow, Matt, this is impressive, nice work! Great job, Matt! That looks amazing. 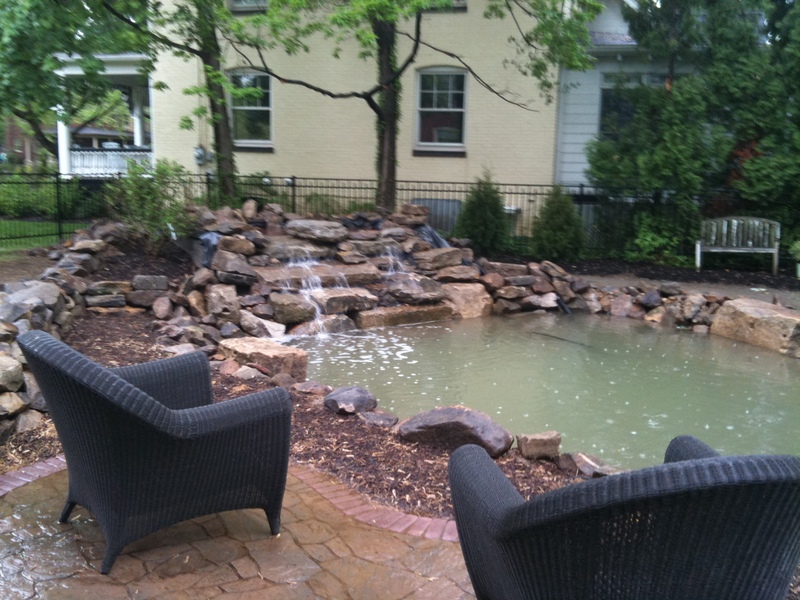 I was hoping the koi would be in the picture, but wow… I like what you did with the waterfall. BTW, what’s the GPH strength of the pump that you used to achieve that waterfall effect? The pond has two pumps, one in the filter and one in the deepest part of the pond. I wanted two so that I could eliminate any deep dead spots since the filter is much shallower than the bottom of the pond. In total the two pumps move about 6000 GPH.